The novel begins with the narrator, a Custom House official, who happens to find a scarlet letter "A" in a box he finds one day in the office. The narrator then relates the story of Hester Prynne, the original bearer of the scarlet letter, who lived in Boston when it was just a small Puritan settlement in the seventeenth century. Hester's story begins on a scaffold just outside the town prison. She has committed adultery, given birth to a child out of wedlock, and refuses to name the man with whom she had the affair. The village leaders hope to shame her into naming her lover by making her into a public spectacle. Even under intense pressure, Hester refuses to reveal her secret. She alone must bear the shame and isolation resulting from her actions. As a punishment, Hester is made to wear a scarlet letter "A" on her chest at all times. The letter "A" stands for adultery and causes her and her daughter to be scorned by the members of her community. 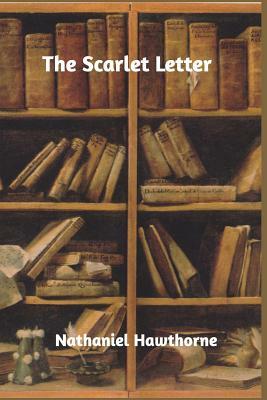 Written in 1850 and set in Puritan Boston in the 1600s, The Scarlet Letter tells the story of Hester Prynne and her punishment for committing adultery. The novel develops the themes of sin, punishment, isolation, and redemption. The letter A worn by Hester Prynne means adultery but could also mean able or afflicted depending on how one interprets the book. I liked this story very much but I found the writing style a bit ponderous at times. Still, this is a good historical novel dealing with sin and suffering in a historical context. I am not done with the book - I am about half-way through. But I am enjoying this book even though the book is a realistic view of women's rights set during the 1600's America. It is not easy reading but the book has given me topics to review and contemplate. I found ?The Scarlet Letter? to be first rate. Well written and descriptive of the period. I?m sorry that it took me so many years to get around to reading it. Most people read it in high school. This is a great classic book. I really enjoyed it when we had to read as a class in highschool my first year. It's great for class discussions.